Woah…I was there many, many years ago and I remembered it was amazing but I'd forgotten how amazing it truly was. Awesome shot. it will do very nicely. beautiful. um yes, it will – i'm at a loss for words… amazing! very good shot! 🙂 can you tell me what did you film use? 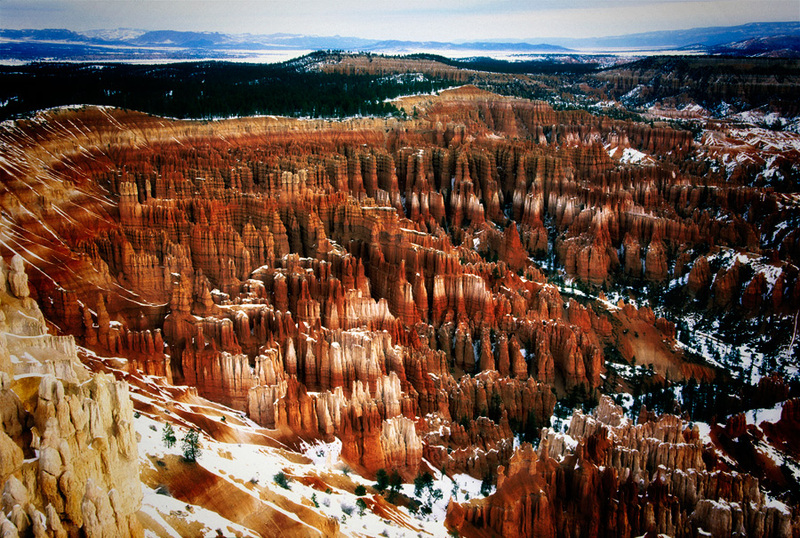 Wonderful landscape of Bryce. I've been to this magical place and you've captured it spot-on. I've never been here, but I would love to. Stunning capture, absolutely amazing. just awesome will. Love your vantage point! What a phenomenon! Looks like a great crowd of mythical beings seated in an amphitheater awaiting an important event. Wow, what a stunning landscape! this one is awesome, great title to suit the image. terrific. Wonderful shot. This is a gorgeous view, taking in so much. that's spectacular! the winter really adds another dimension. That's a great place to be, and a very nice picture rendering it. what can the reaction be but awestruck? brilliant shot. I always get amazed by the wonders of nature when I find a photo like this. Amazing. Wow ! It's so spectacular ! Stunning, Astonishing, Mindblowing, Phenomenal, Fantastic, Exquisite…I m actually running out of adjectives to praise this image. This is a masterpiece. congratulations. Wow incredible photo! What a grand landscape shot this is!! Endless possibilities to get lost in visual, to be drown in visions and found again and again. That red is overwhelming but that ocre yellow mustard talks to me 2! Thanks for sharing. Looks like a really bad place to get lost! I came here many moons agao, but unfortunately all I saw were white chimneys! Great shot. this looks bizarre to me – didn't know, that there falls snow too.